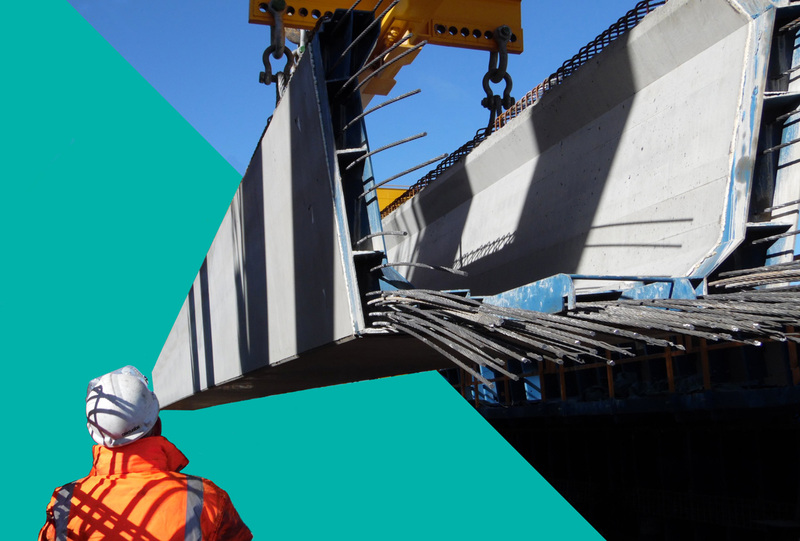 As the largest independent producer of prestressed bridge beams in Britain, we offer a comprehensive range of beam profiles as well as bespoke reinforced and post-tensioned products developed and tailored to the needs of individual projects. Add to that our ‘One Stop Shop’ for design, manufacture and installation of precast arch and portal frame bridge systems and it’s easy to see why you should make THE GREAT BRITISH PRECASTER the first point of call for all your precast concrete needs. From our extensive production facility in North Nottinghamshire, we’re ideally placed to service the UK’s civil engineering industry with the capability to produce units weighing more than 120 tonnes and over 40m long. ABM Precast Solutions offer a comprehensive service to the UK civil engineering sector with the capability to design and manufacture a vast range of precast concrete products from small coping units to massive structural components weighing over 120 tonnes. Working with leading civil engineers and designers, we’re proud to be part of many of the country’s major civil engineering projects. At our Nottinghamshire plant, we bring together extensive practical experience with technical know–how to ensure that we can deliver innovative and competitive solutions in the most challenging situations.